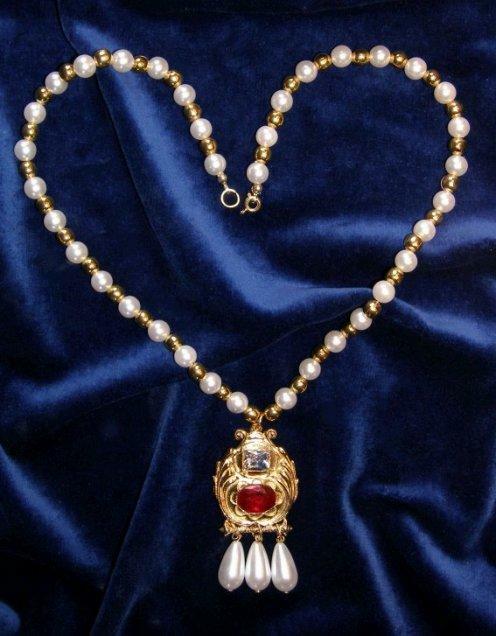 The necklace is of simulated pearls, interspersed with gold plated and decorated beads. It is an almost exact copy of the original seen in the Holbein portrait of the young Princess Elizabeth. The pendant is set with synthetic ruby and imitation diamond. From it hangs a further three simulated drop pearls. Length seventeen and a half inches (45cm).